Flooded commuter lot Sunset Hills Rd. in Reston, VA. 4:45 pm. How unusual was the deluge of rain that fell over the region last Wednesday and Thursday? National Oceanic and Atmospheric Administration hydrologists ran the numbers and found that the rain that fell in Bowie, Md., on Wednesday was a "200-year rainfall." That means that in any given year, there is a 0.5 percent chance that much rain falling in so short a time. A collecting station there recorded 4.57 inches of rain in three hours. Hydrologists compare historical rainfall measurements to compute the odds of an area receiving a given amount of precipitation in a given amount of time each year. Families in Northern Virginia are suffering, several days after flash floods from Tropical Storm Lee.Business owners were also hard hit. News4's Jane Watrel has more on residents in one shelter in Woodbridge, who are now desperately searching for new homes. Upper Marlboro was also hit with heavy rainfall last Wednesday. Hydrologists said that the amount of rain that fell there was a one-in-100-year event. This does not mean an event like this only happens once every 100 years, NOAA cautioned. Rather, it is a calculation of the probability of such a rain event annually. 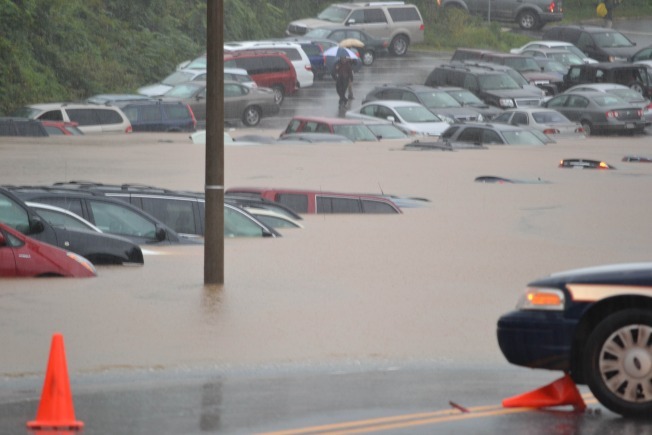 In Virginia, the odds were even longer for the rainfall accumulations. A recording station in Fairfax County collected 5.47 inches in three hours on Thursday. 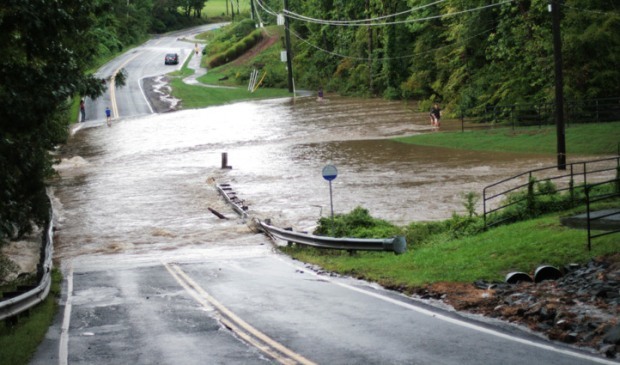 NOAA said there is a 0.2 percent chance of Fairfax County seeing a deluge like that in any given year. The most extraordinary totals were recorded at Fort Belvoir. There, 7.03 inches fell over the course of three hours -- what hydrologists call a one-in-1000-year rain. The odds of seeing that much precipitation in three hours? A very tiny 0.1 percent annually.